MATLAB was first adopted by researchers and practitioners in control engineering, Little’s specialty, but quickly spread to many other domains. It is now also used in education, in particular the teaching of linear algebra and numerical analysis, and is popular amongst scientists involved in image processing. The MATLAB application is built around the MATLAB language, and most use of MATLAB involves typing MATLAB code into the Command Window (as an interactive mathematical shell), or executing text files containing MATLAB codes, including scripts and/or functions. defines a variable named array (or assigns a new value to an existing variable with the name array) which is an array consisting of the values 1, 3, 5, 7, and 9. That is, the array starts at 1 (the init value), increments with each step from the previous value by 2 (the increment value), and stops once it reaches (or to avoid exceeding) 9 (the terminator value). Most MATLAB functions can accept matrices and will apply themselves to each element. For example, mod(2*J,n) will multiply every element in “J” by 2, and then reduce each element modulo “n”. MATLAB does include standard “for” and “while” loops, but (as in other similar applications such as R), using the vectorized notation often produces code that is faster to execute. This code, excerpted from the function magic.m, creates a magic square M for odd values of n (MATLAB function meshgrid is used here to generate square matrices I and J containing 1:n). MATLAB has structure data types. Since all variables in MATLAB are arrays, a more adequate name is “structure array”, where each element of the array has the same field names. In addition, MATLAB supports dynamic field names (field look-ups by name, field manipulations, etc.). Unfortunately, MATLAB JIT does not support MATLAB structures, therefore just a simple bundling of various variables into a structure will come at a cost. Although MATLAB has classes, the syntax and calling conventions are significantly different from other languages. MATLAB has value classes and reference classes, depending on whether the class has handle as a super-class (for reference classes) or not (for value classes). MATLAB’s support for object-oriented programming includes classes, inheritance, virtual dispatch, packages, pass-by-value semantics, and pass-by-reference semantics. MATLAB can call functions and subroutines written in the C programming language or Fortran. A wrapper function is created allowing MATLAB data types to be passed and returned. The dynamically loadable object files created by compiling such functions are termed “MEX-files” (for MATLAB executable). Libraries written in Perl, Java, ActiveX or .NET can be directly called from MATLAB, and many MATLAB libraries (for example XML or SQL support) are implemented as wrappers around Java or ActiveX libraries. Calling MATLAB from Java is more complicated, but can be done with a MATLAB toolbox which is sold separately by MathWorks, or using an undocumented mechanism called JMI (Java-to-MATLAB Interface), (which should not be confused with the unrelated Java Metadata Interface that is also called JMI). MATLAB is a proprietary product of MathWorks, so users are subject to vendor lock-in. Although MATLAB Builder product can deploy MATLAB functions as library files which can be used with .NET or Java application building environment, future development will still be tied to the MATLAB language. Each toolbox is purchased separately. If an evaluation license is requested, the MathWorks sales department requires detailed information about the project for which MATLAB is to be evaluated. Overall the process of acquiring a license is expensive in terms of money and time. If granted (which it often is), the evaluation license is valid for two to four weeks. A student version of MATLAB is also available. It has been reported that EU competition regulators are investigating whether MathWorks refused to sell licenses to a competitor. MATLAB has a number of competitors. Commercial competitors include Mathematica, Maple, and IDL. 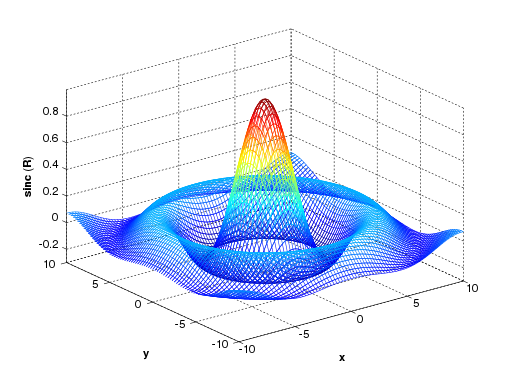 There are also free open source alternatives to MATLAB, in particular GNU Octave, FreeMat, and Scilab which are intended to be mostly compatible with the MATLAB language. Among other languages that treat arrays as basic entities (array programming languages) are APL, Fortran 90 and higher, Julia, S-Lang, as well as the statistical languages R and S. There are also libraries to add similar functionality to existing languages, such as IT++ for C++, Perl Data Language for Perl, and SciPy for Python. 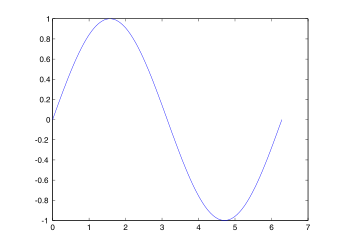 GNU Octave stands out as it treats incompatibility with MATLAB as a bug (see GNU Octave#Matlab), therefore it aims to provide a software clone. MATLAB 7.6 R2008a 19 1.6.0 2008 March 1, 2008 New Class-Definition Syntax. MATLAB 8 R2012b 28 1.6.0_17 September 11, 2012 First release with Toolstrip interface. MATLAB Apps. Redesigned documentation system. MATLAB 8.1 R2013a 29 1.6.0_17 2013 March 7, 2013 New unit testing framework. MATLAB 8.2 R2013b 30 1.7.0_11 September 6, 2013 New table data type. Several easter eggs exist in MATLAB. These include hidden pictures, and random inside jokes. For example, typing in “spy” will generate a picture of the spies from Spy vs Spy. “Spy” was changed to an image of a dog in recent releases (R2011B). Typing in “why” randomly outputs a philosophical answer. Other commands include “penny”, “toilet”, “image”, and “life”. Not every Easter egg appears in every version of MATLAB – some appear and some disappear. ^ “System Requirements and Platform Availability”. MathWorks. Retrieved 2013-08-14. ^ a b Cleve Moler (December 2004). “The Origins of MATLAB”. Retrieved April 15, 2007. ^ “MATLAB Programming Language”. Altius Directory. Retrieved 2010-12-17. ^ Cleve Moler (January 2000). “MATLAB Incorporates LAPACK”. Cleve’s Corner. MathWorks. Retrieved December 20, 2008. ^ “MATLAB Documentation”. MathWorks. Retrieved 2013-08-14. ^ “Comparing MATLAB with Other OO Languages”. MATLAB. MathWorks. Retrieved 14 August 2013. ^ “Create Symbolic Variables and Expressions”. Symbolic Math Toolbox. MathWorks. Retrieved 14 August 2013. ^ “Matrix Indexing”. MathWorks. Retrieved 14 August 2013. ^ “Structures”. MathWorks. Retrieved 14 August 2013. ^ “Generate Field Names from Variables”. MathWorks. Retrieved 14 August 2013. ^ “Function Handles”. MathWorks. Retrieved 14 August 2013. ^ “Anonymous Functions”. MathWorks. Retrieved 14 August 2013. ^ “Comparing Handle and Value Classes”. MathWorks. ^ “Introduction to GUIDE”. MathWorks. Retrieved 14 August 2013. ^ “MATLAB GUI”. MathWorks. 2011-04-30. Retrieved 2013-08-14. ^ “Object-Oriented Programming”. MathWorks. Retrieved 2013-08-14. ^ “Application Programming Interfaces to MATLAB”. MathWorks. Retrieved 14 August 2013. ^ “Create MEX-Files”. MathWorks. Retrieved 14 August 2013. ^ Spielman, Dan (2004-02-10). “Connecting C and Matlab”. Yale University, Computer Science Department. Retrieved 2008-05-20. ^ “External Programming Language Interfaces”. MathWorks. Retrieved 14 August 2013. ^ “Call Perl script using appropriate operating system executable”. MathWorks. Retrieved 7 November 2013. ^ “MATLAB Builder JA”. MathWorks. Retrieved 2010-06-07. ^ Yair Altman (2010-04-14). “Java-to-Matlab Interface”. Undocumented Matlab. Retrieved 2010-06-07. ^ Joshua Kaplan. “matlabcontrol JMI”. ^ Roger Germundsson from Wolfram Research (1998-09-30). “MaMa: Calling MATLAB from Mathematica with MathLink”. Wolfram Library Archive. ^ rsmenon, szhorvat (2013). “MATLink: Communicate with MATLAB from Mathematica”. Retrieved 14 August 2013. ^ Michael Weitzel (2006-09-01). “MathML import/export”. MathWorks – File Exchange. Retrieved 2013-08-14. ^ Jan Stafford (21 May 2003). “The Wrong Choice: Locked in by license restrictions”. SearchOpenSource.com. Retrieved 14 August 2013. ^ “MATLAB Builder NE”. MathWorks. Retrieved 14 August 2013. ^ “MATLAB Builder JA”. MathWorks. Retrieved 14 August 2013. ^ “MathWorks Software Licenses Probed by EU Antitrust Regulators”. Bloomberg news. 2012-03-01. ^ Stefan Steinhaus (February 24, 2008). “Comparison of mathematical programs for data analysis”. ^ Cleve Moler (January 2006). “The Growth of MATLAB and The MathWorks over Two Decades”. News & Notes Newsletter. MathWorks. Retrieved 14 August 2013. ^ “Do MATLAB versions prior to R2007a run under Windows Vista?”. MathWorks. 2010-09-03. Retrieved 2011-02-08. ^ “OOP Compatibility with Previous Versions”. MathWorks. Retrieved March 11, 2013. ^ Loren Shure (September 2012). “The MATLAB R2012b Desktop – Part 1: Introduction to the Toolstrip”. ^ “MATLAB Apps”. MathWorks. Retrieved August 14, 2013. ^ “MATLAB Unit Testing Framework”. MathWorks. Retrieved August 14, 2013. ^ “MathWorks Announces Release 2013b of the MATLAB and Simulink Product Families”. MathWorks. September 2013. ^ “MATLAB Tables”. MathWorks. Retrieved 14 September 2013. ^ “Introducing MEX-Files”. MathWorks. Retrieved 14 August 2013. ^ “Binary MEX-File Extensions”. MathWorks. Retrieved 14 August 2013. ^ “Protect Your Source Code”. MathWorks. Retrieved 14 August 2013. ^ “MATLAB App Installer File”. MathWorks. Retrieved 14 August 2013. ^ “Simscape”. MathWorks. Retrieved 14 August 2013. ^ “What MATLAB Easter eggs do you know?”. 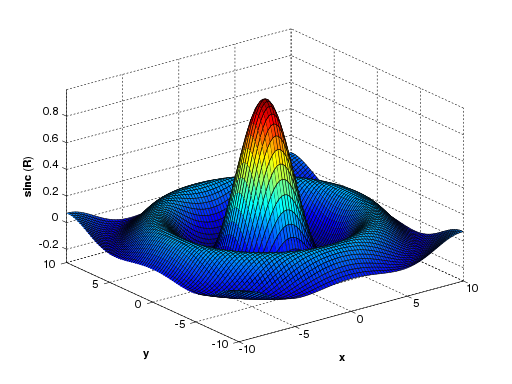 MathWorks – MATLAB Answers. 2011-02-25. Retrieved 2013-08-14. ^ Steve Eddins (2006-10-17). “The Story Behind the MATLAB Default Image”. Retrieved 14 August 2013. Platform Road Map, at the MathWorks website. System Requirements, at the MathWorks website. MATLAB Central File Exchange – Library of over 18,000 user-contributed MATLAB files and toolboxes, mostly distributed under BSD License. MATLAB tag on Stack Overflow. MATLAB Answers – a collaborative environment for finding the best answers to your questions about MATLAB, Simulink, and related products. Cody – a MATLAB Central game that challenges and expands your knowledge of MATLAB. Trendy – a MATLAB based web service for tracking and plotting trends. MathWorks was founded in Portola Valley, California, by Jack Little (President & CEO), Cleve Moler (Chief Scientist), and Steve Bangert (now inactive) on December 7, 1984. Its flagship product, MATLAB, made its public debut at the IEEE Conference on Decision and Control in Las Vegas, Nevada that same year. The company sold its first order, 10 copies of MATLAB, for $500 to the Massachusetts Institute of Technology (MIT) in February 1985. In 1986, MathWorks relocated to Massachusetts and following a decade of growth, settled into its current headquarters on Apple Hill Drive in the town of Natick in July 1999. By that time, the company had grown to nearly 1,000 people. The company started its global expansion in 1997, with an office in the United Kingdom. The years that followed saw opening of offices in Spain, Germany, France, The Netherlands, and Switzerland in 2000; an office in Italy in 2002; and locations in South Korea and Sweden in 2004. An office in China opened in 2007, India in 2008 and the company established a direct presence in Japan in 2009. In 2007, MathWorks acquired Polyspace Technologies  and started including the Polyspace products in their MATLAB releases in 2008. In 2008, MathWorks acquired SciFace Software GmbH & Co. KG, makers of MuPAD, and started including MuPAD in their Symbolic Math Toolbox, replacing the existing Maple engine. MathWorks also expanded its main campus in Massachusetts with the purchase of a 150,000-square-foot (14,000 m2) office building at Apple Hill in July 2008, followed by the purchase of another 170,000-square-foot (16,000 m2) building in the same complex in December 2009. In April 2013, the company again expanded its footprint in Natick by an additional 500,000-square-foot (46,000 m2) with the purchase of the former headquarters of Boston Scientific.